Check out the Mad Penguin website, it’s got a review of Suse Linux 10.1. Also listen to the podcast from Jeremy Allison from the Samba Team. Jeremy works for Novell and gives an overview of Samba and some of it’s history. The networking protocol used by Windows Servers is SMB/CIFS (Server Message Block/Common Internet Filesystem) and was not originally developed by Microsoft. Anyway, listen to the Podcast! Do I really need a server? Many small businesses view having a server as something you only run as some large corporate company. Microsoft Windows Small Business Server is designed for small companies and we’ve successfully deployed it in organisations with less than 5 users. However, what if you are just 1 or 2 people and want some of the features that SBS 2003 can give you but don’t want the cost of deploying and managing hardware, is there an alternative? The answer is yes! 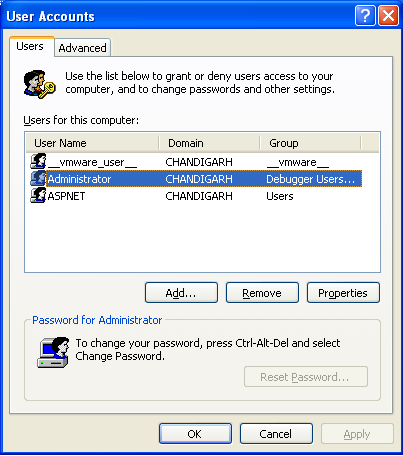 A good option in this scenario is to look at hosted Exchange/Sharepoint accounts with providers such as OneAndOne. These allow you to have all the facilities of Exchange Server (shared calendars, contacts, folders and synchronisation with mobile devices) with you running Outlook 2003 on your desktop. If you combine this with Sharepoint Services hosted account, then you’re away with document sharing, collaborative working, document management and more. I like OneAndOne’s services, they are excellent and affordable. A hosted Exchange account is £7.09 (inc vat) per month per user and a hosted Sharepoint account is £17.61 (inc vat) per month with support for up to 50 users! Now that’s a bargain as it comes to £296.40 (inc vat) per year to get some real enterprise class features and work remotely in a small team. It also helps when you want to transition to a server because you’re already using the same feature set. Do small businesses understand IT? The Register has report on a survey conducted by Lloyds TSB Business and the Open University, that found that a quarter of companies found it hard to keep pace with changes in technology. Who can blame them? It’s a major task for Technology Suppliers themselves. However, what small businesses need to focus on is what they want to achieve within their business and how they want to work. Should they focus on the technology? Absolutely not! Once you have these things clear in your own mind, then you can talk to Technology providers. It is their job to translate your vision in to the appropriate solution. Lets face it, technology is only part of the business strategy and has to be integrated with the marketing, sales, operations and just basic day to day things. Remember, that businesses succeed because of “People” not computers or anything else. It is People that build relationships, win orders, solve customers problems and make the tea….!!! How to easily access email from anywhere? You don’t need an Exchange Server to access your emails from multiple locations, whether you’re in the office or out of it. Many small businesses use POP3 mail accounts, which download all your emails to the mail client that you’re using to access it. This may be Outlook Express, Outlook or Thunderbird, etc. Once downloaded to your PC, then that mail is only accesible on that machine. A quick/effective way to overcome this is to use IMAP mail accounts. These accounts, in contrast to POP3, don’t move the mail off the ISP/Hosting email server, they just copy it locally to your machine. Initially, they only display the header so you don’t have the overhead of all emails being downloaded before you can start reading them. What’s clever about IMAP is that once you read a mail, it remembers this and when you access it elsewhere it knows you read it and keeps its status. Any good ISP/Hosting should provide IMAP support and if they don’t, then change to one that does. You shouldn’t need to pay extra for this and a good provider is someone like OneAndOne. 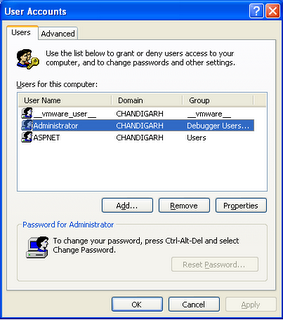 I use IMAP from OneAndOne and they have an excellent admin page and webmail support. Also, IMAP clients are built in to most mobile phones, so you don’t need fancy VPNs setting up to access email. Outlook Express and Outlook all support IMAP and if you want a free mail client look at Thunderbird. We're not all driven just by profits? Dave Overton (Microsoft Head of Small Business Technology, UK) has an interesting piece on his blog on part of the reason why he joined Microsoft. I’m glad he thinks that way, because we are not just “commercial” beings but “social” beings as well. I don’t think we should separate out our core beliefs when we suddenly go in to business! If we believe in certain things then we should apply those to everything that we do and say. I don’t think “profit” is a dirty word but we need to understand that we shoud act with social resposibility in our businesses, large or small. Here is an amazing story of a donation of an astronomical amount by Warren Buffet! Go Warren….!! Have you ever wondered what sort of environments people work in? Well here’s mine, not very inspiring I know but functional. The iCurve laptop stand is groovy. It’s a simple design but very effective even if it was meant for Mac Notebooks. 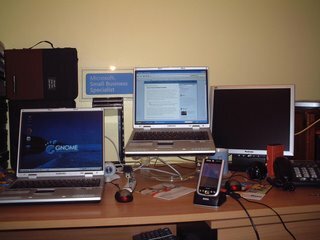 My two laptops are nothing special, they are Samsung P28’s but are quiet and reliable. One laptop runs Windows XP Pro (of course!) and the other runs OpenSuse Linux 10.1, both on a wireless connection. You can see my clear perspex “Microsoft Small Business Specialist” plaque which I received after successfully entering the programme. I also have my Dell Axim x50v PDA, which is synced with Outlook 2003 on my laptop. There’s also a Grandstream Budget Tone 100 IP Phone, as I run my own VoIP server called Asterisk@Home (yes, it’s an open source product and don’t be fooled by the name “Home” as it’s anything but. So you can see that I haven’t turned completely to the dark side!). Also, just to the left of the pic is my Microsoft Action Pack, chock full of software goodies to play with…er, I mean to evaluate! Linux No Threat to Windows on Desktop? I saw this article which was quoting Bill Hilf, general manager of competitive strategy at Microsoft, about how Linux is no threat to Windows on the desktop. The fact that he’s saying he’s not worried means he’s worried! It’s like a child who is scared of the dark and when lying in their bed in the dark they say, ‘I’m not scared’ over and over again to themselves when really they’re terrified of the shadows. Otherwise why would Microsoft have put together their ‘Get the Facts’ campaign. And there is the crux of it, because the Open Source model is distributed, getting various projects to cooperate for a common purpose is pretty difficult. Vendors like Novell and IBM are doing it in parts. IBM is basing its Lotus Notes client on the Eclipse framework and integrated components of OpenOffice in to its Workplace Services Express product. What? How does he know that? Has he been pouring over Windows Source code and the Linux Kernel code? If so, he’s got far too much time on his hands. Why when Microsoft Execs start to say something sensible over Windows vs Linux that they end up spurting such rubbish! If he really believes that, then open up the Windows/Vista source code right now and let everyone be a judge of that! Microsoft representatives like Dave Overton, Microsoft’s Head of Small Business Technology in the UK have a healthy respect for other technologies and spend their time trying to highlight the real benefits of Windows/Office technology.Microsoft, let Dave make the statements…!!! Novell's CEO gets the chop! Well, this was bound to happen sooner rather than later. Novell’s recent performance has been quite poor to say the least and I’m no analyst or accountant. It has struggled financially in its “damascus” like conversion to Linux. I think it has left people wondering what is it supporting? Is it supporting SUSE Linux, is it still supporting Netware, is it focused on the Server Enterprise or is focused on the Enterprise Desktop, does it actually care about small businesses? They are too many questions and few answers. It’s got good products and its SUSE Linux Enterprise Server v9 is far ahead in its manageability than Redhat Linux, yet Redhat keeps trouncing it in the Linux Enterprise Server market. It’s current desktop Linux distribution, SUSE Linux 10 has many features which are being compared favourably to Vista. On the other hand it has got a strange product called “Open Enterprise Server” which is SUSE Linux Enterprise Server v9 with its Netware Services ported to Linux. The only major deployment of this I have seen Novell announce is the one at my local University, De Montfort, where it is going to be supporting 25,000 student and staff. Let’s hope the new guys can sort out its strategy because they just wouldn’t be able to afford me! 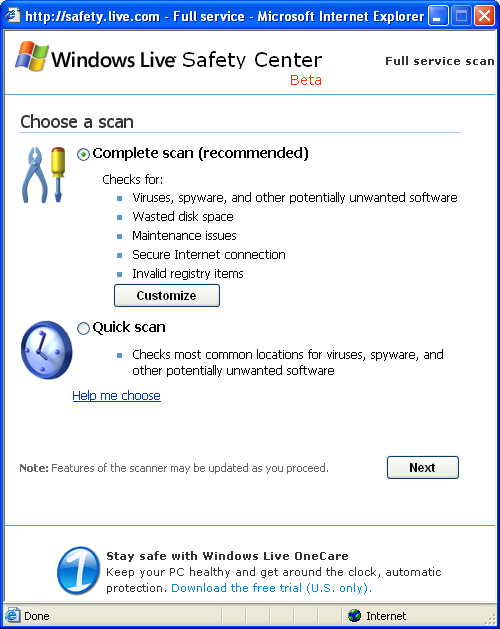 I was trying out the new Windows Live tools and decided to run the full service scan and to my surprise it came back that I had a Worm virus (VBS/SM – relatively low risk virus)! I’ve been running the free version of AVG and was about to upgrade to the professional edition, honest! 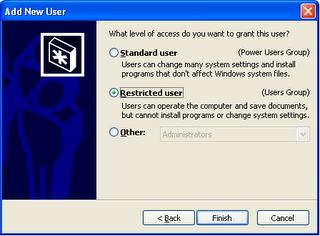 I had also been running recently with local administrator privileges (naughty, naughty!) and I guess the worm had slipped in then. I guess no virus program is perfect and had I not been running as administrator the worm could not have installed itself in the “C:\system volume information” area. This just goes to show you why you should run your day to day activities using a restricted user account. Do it now, you’ve been warned (see below)! The Safey Live tools are pretty good (see below) and will also tidy the registry and check the local disk for defragmentation and then defragment it. 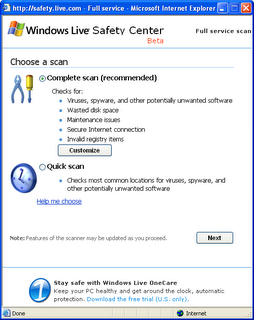 I will be using this tool once a week to check my laptop from now on along with my resident anti-virus program. I was at the Microsoft Partner Community Day yesterday at the Novotel Hotel, West London. It was a really interesting event as I got to see more of Vista and the 2007 Microsoft Office system. I’m always impressed by the Aero interface, with the Flip 3D features. I believe this will become more than just ‘eye candy’ and that new applications will have new ways of displaying and manipulating information. For a small business, if they can find information quicker and work more efficiently, then that is a big benefit. The 2007 Microsoft Office system (apparently it is not ‘Office 2007′ because Microsoft wants to convey that it’s more than just Word, Excel, Powerpoint! ), has a new interface with a ‘ribbon’ that goes across the top, a live preview system before you apply settings and a gallery of options which are context sensitive. The question is that most people use between 10-20% of the features of Office 2003, then with all these new features how much will small businesses make use of the new functionality. Of course, it is up to IT Consultants like myself to support people to make the best use of their investment and to help organisations use technology to automate their processes. Microsoft’s own research in to the small business marketplace identifies that only a small percentage of companies will embrace the newest technology straightaway and that the majority of small business owners just want to do the basic things well! As Office has about 90% market penetration, then it is not a question of ‘if’ but ‘when’ to migrate to the new offerings. In the coming months, I will be looking at how these new technologies will aid the small business owner to do his day-to-day tasks better and faster!